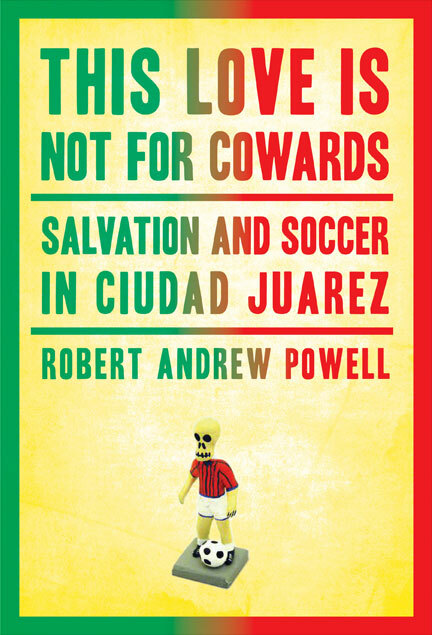 There are a lot of quality books filling up my library queue and reading list, but I haven’t been able to shake out the stories of one of the more recent books I read, “This Love is Not For Cowards – Salvation and Soccer in Ciudad Juarez by Robert Andrew Powell. The title is enough to draw you in, and I could write for days about the phrase ‘this love is not for cowards,’ but this book reminds me of my own story with Juarez. Juarez sits right on the edge of the US, sharing the border with El Paso, TX. Founded as a city of promise, it quickly became one of the fastest growing cities in Mexico, aided by it’s proximity to the US. You can see the physical border, the patrols visible at all times. Juarez is extremely violent because of it’s drug cartels, and is known as Murder City, being ranked as the world’s most dangerous city in 2009 with more than 2600 reported homicides. In 2010 that number jumped to 3075, and those are the reported ones, or whose bodies were found. Thousands more go missing every year. At one point no one would run for chief of police so a 20 year old female college student and single mom named Marisol Valles became the chief of police, but only to flee to the US due to the violence and threats against her family. It is an extremely dangerous place, where murder is an everyday occurrence, sometimes more an inconvenience than a tragedy. 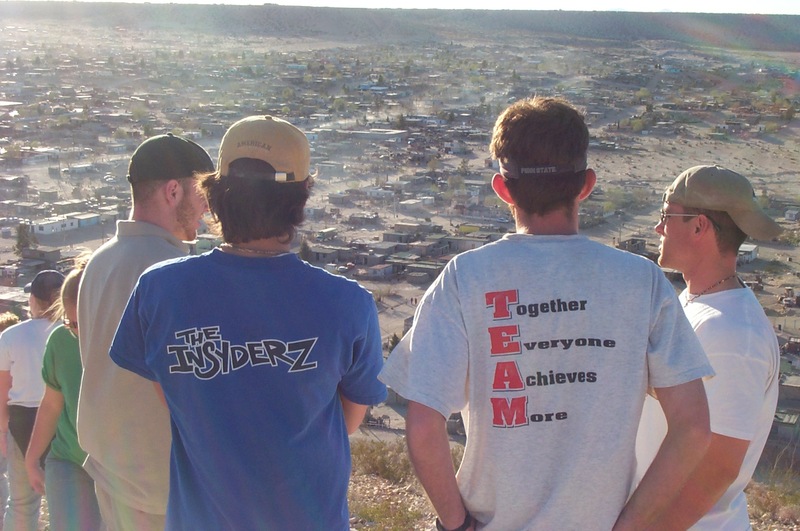 In high school I went on a mission trip to Juarez with my youth group before my senior year of high school. It was not my first trip, and I was already quite jaded by “missions.” My youth pastor and future best man in my wedding had A LOT of heart to hearts on that trip, several while wandering the streets of Juarez, out of our compound, out of the safety and protection of the high walls with shards of glass set into the concrete, and the semi-attentive young guy who guarded the gate. I walked around that city at night, wondering what God could be doing, mostly I was concerned about Him moving in my own life, but there was an air to the city, a taste I couldn’t really forget. I remember thinking it was weird for us to be the only ones on the streets, oblivious to the danger of being out at night by ourselves. But I loved the city, our two weeks on that trip were formative in a lot of ways, and besides, I had these sweet frosted tips in my hair so what could go wrong? In college I had the chance to go back for a spring break trip. 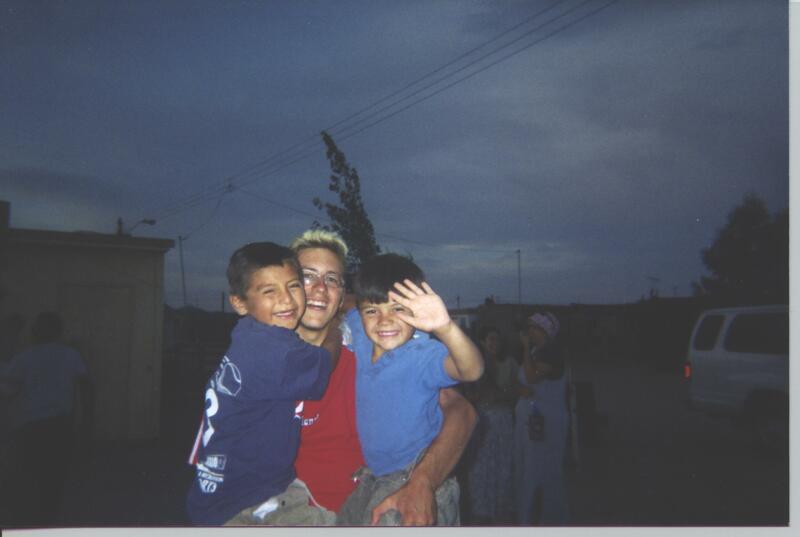 Some of those people on that trip became my closest friends, and it’s an experience I still value to this day. 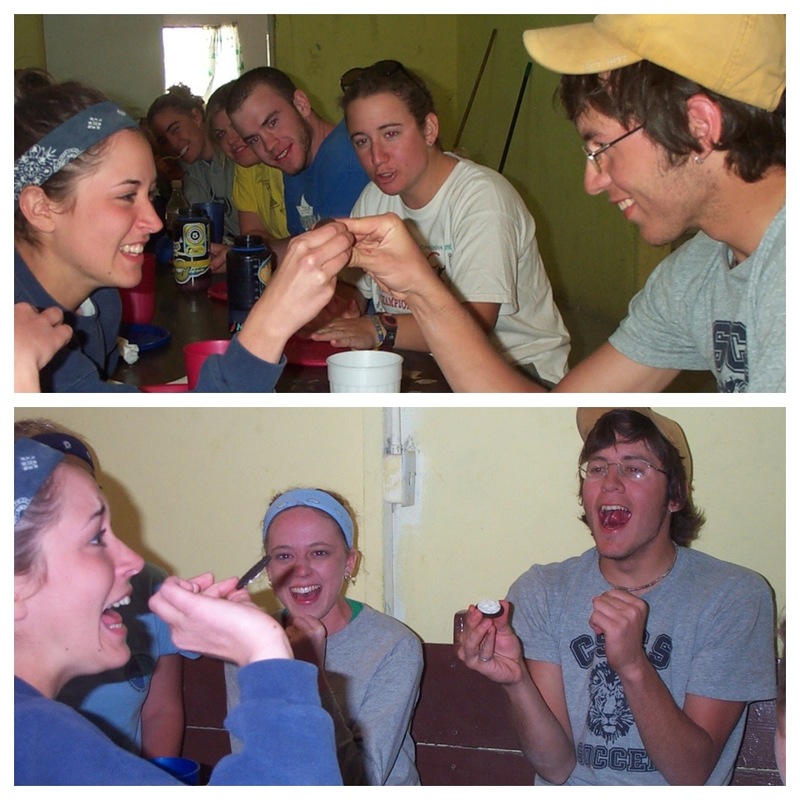 It also led to an incredible victory in an oreo bet, as you can see below. I really do love Juarez. It’s a dangerous place that feels so… normal. 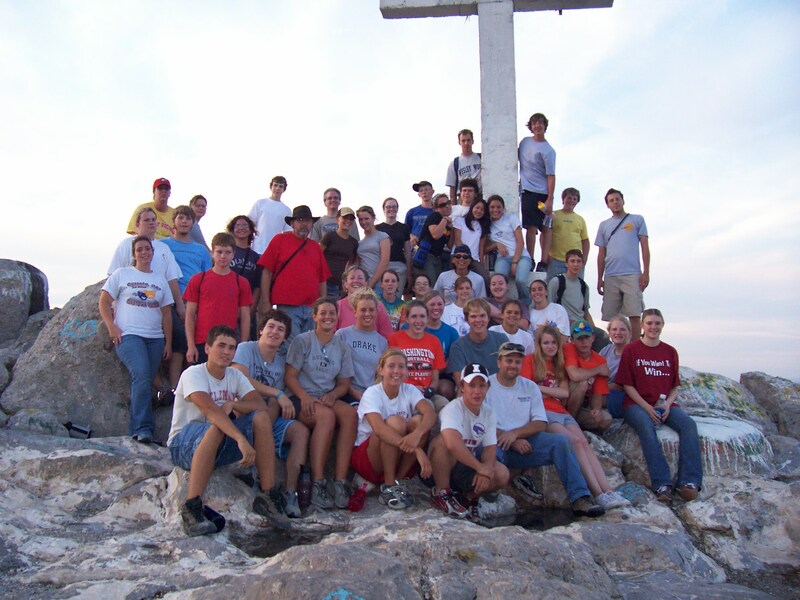 Because it was so pivotal in my own faith journey, in my first youth pastor job, I lead my youth group to spend 10 days there. What does all of this have in common besides some very unfortunate hair style choices on my part? This city has been a surprising constant in my story. In all it’s drama and heart ache and history and pride and sorrow and hopelessness, too often I found my story reflecting that of Juarez. So I turned to this book, a book that would combine my love of soccer with a city that has been deeply significant in my life. I wanted to read and be reminded of the hope that is found no matter the situation. The book recounts the experience of the author as he follows the Indios, the city’s pride and joy as they compete to stay in the top level of Mexcian football. The author recounts seeing his first bodies, of gunshots and explosions rattling his door, of friends being threatened, games being won or lost, parents kidnapped, kids gunned down. Soccer is supposed to offer a respite, a hope in all of this, but this gripping book, this all too-real tale, provides little hope. It’s more of a narrative, a factual description, leaving the reader to feel their own emotions. And I have been feeling them: Frustration. Pity. Fear. I don’t want a hollow victory for Juarez, which soccer seems to be, a respite from the reality of the violence waiting outside the stadium. The author is resolute in his love for the city, in his passion for the people and relationships he formed. And it is in his resolve that I am being reminded of where I place my hope. This book isn’t meant to encourage or to inspire, but it has drawn out this longing in my heart to experience real hope, not just in my personal life but in our communities. Not fleeting, or passive, or found in safety, but hope in who I am being called to be, and hope in a God who loves deeply. This book has nothing to do with me, nor have I experienced anything like the stories that unfold between the pages, but I do resonate with the desire for hope. It’s good to be reminded of this desire, this longing for hope, and this book has been tremendous for that. It reminds me that I serve a God so much bigger and so much more loving than I could ever hope to be. This book tells the stories of a oft ignored city, and it reminds me that we serve a God that refuses to forget, refuses to ignore, refuses to let go, and that gives me hope. Hope for me, but more importantly hope for Juarez, hope for communities around the world and the people willing to be light in some very dark places. I am reminded that this Love is not one of cowards, but of a God who boldly and faithfully stepped into our story. oh man, i want to read this book!